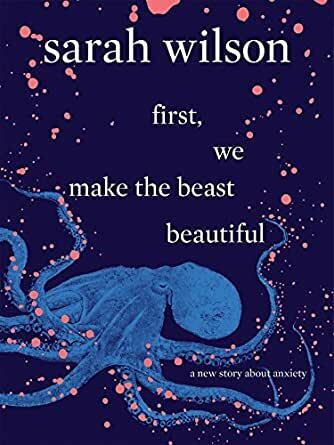 Fusing memoir with polemic, bestselling author Sarah Wilson turns her attention from sugar to anxiety, her lifetime companion, to reframe it as a positive state that we can harness to improve our lives. I read, I was uncomfortable, and then the lights went on. I’ve read a library full of self help books and taken a snippet from each. Nothing changed my thinking about anxiety like this book has. I was given this book and it’s the gift that keeps on giving. I will be forever grateful for the acceptance and peace I thought was elusive to me. 5.0 out of 5 starsIn depth observations from authors own life & research & reading about anxiety. Well not being a stranger to anxiety myself, book was of great interest. Author also lives in the same country and city as me when she's not traveling or fleeing as she explains she is prone to doing. 5.0 out of 5 starsI’m anxious but not alone! I loved how relatable this book was, it spoke to my very core and for the first time I didn’t feel alone. There are countless resources on anxiety, but they feel vanilla and soulless. Reading this book helped my tremendously. I realised it was okay to be anxious. To own it, sit in it and just be grateful for the strength it can provide. Fantastic read. For those who have mental health issues and those who don't and those who love someone who does. Anyone really! This is a life laid bare full of struggle and truth and ideas and inspiration. Well written with lots of pointers to more reading and more life. Loved it. 3.0 out of 5 starsInteresting, but ultimately unsatisfying. I appreciate the humour in this wide-ranging book. Did I learn 'stuff'? Yes, sure, but not the secret of life. High expectations? Yes. Unfulfilled. 3.0 out of 5 starsOkay read. I first heard about this book from local press, one of the comments that is made 'Make your bed every morning', it actually does work. Would recommended a read of this book, however does ramble a bit at times, and some bits not in my view relevant. Satah is very witty in her writing. Clearly stated as not a cure nor scientific but is one woman's journey living with anxiety. Recommended for a greater understanding of what it is like to live with anxiety. Lighthearted yet descriptive where necessary. 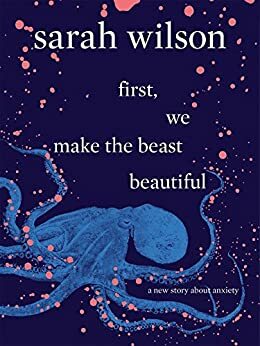 I have an interest in anxiety issues however I struggled through the first 3rd of this book before giving up, author is totally self absorbed and beyond anxious.